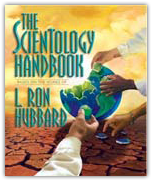 In this chapter, L. Ron Hubbard goes beneath all these “solutions” to provide the basic knowledge of what actually constitutes understanding. What can you do with this knowledge? By knowing what understanding really is, you have the tools to handle life itself. This means that you have the tools to increase your understanding of just about anything – including the people you know and come into contact with. This knowledge will enable you to help others who are experiencing the travails caused by misunderstandings, differing viewpoints, broken relationships and other ills that make man’s life a string of successive hardships. You will learn the components of understanding, how they interrelate and bring about understanding. With the skills one can acquire from a study of the fundamentals contained herein, you can help bring others back into understanding with their fellow man and the world around them. Although only a portion of the full technology Mr. Hubbard developed on this subject is contained here, it is enough to change your approach to life. And its use will help you flourish in any aspect of human activity. If lack of understanding is, indeed, a source of man’s problems, imagine his potentials without this hindrance. Millions of people who apply this knowledge are reaching heights they once only dreamed of – and are successfully assisting others to do the same. Contact a Scientology Volunteer Minister Center near you if you have more questions, or to start on a Volunteer Minister Training course help you use this in life.